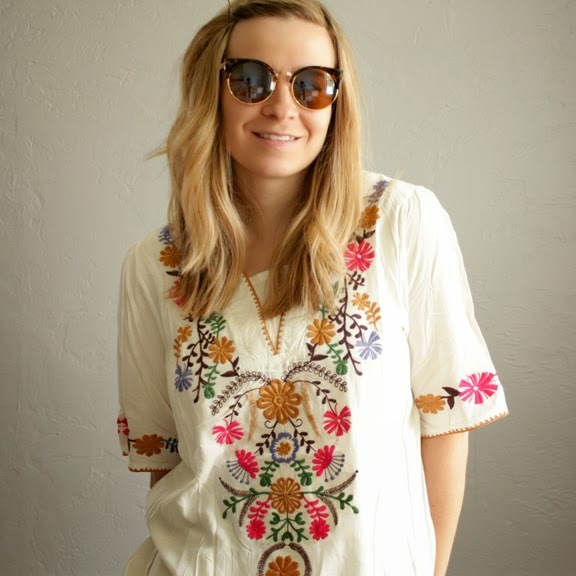 Today I am stoked to offer a giveaway from Sheinside. They sent me a few summery goodies and I'm head over heels. 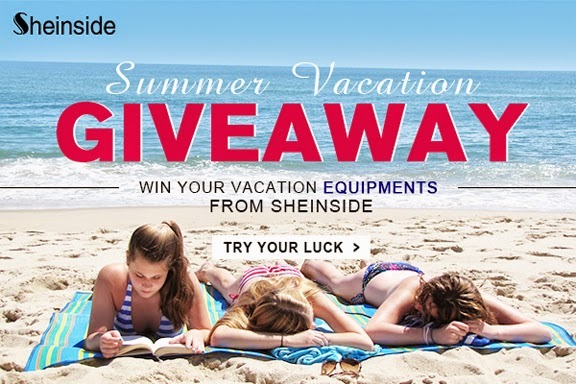 Sheinside has generously offered a chance to win two selections from their summer collection. The giveaway ends on Sunday, July 13 at 10 pm. These pictures are obviously not from this week but because I almost died had a nasty virus, I never had a chance to post them.We road tripped across Northern and Central California and had an amazing time. finally taking advantage of the our new grass. 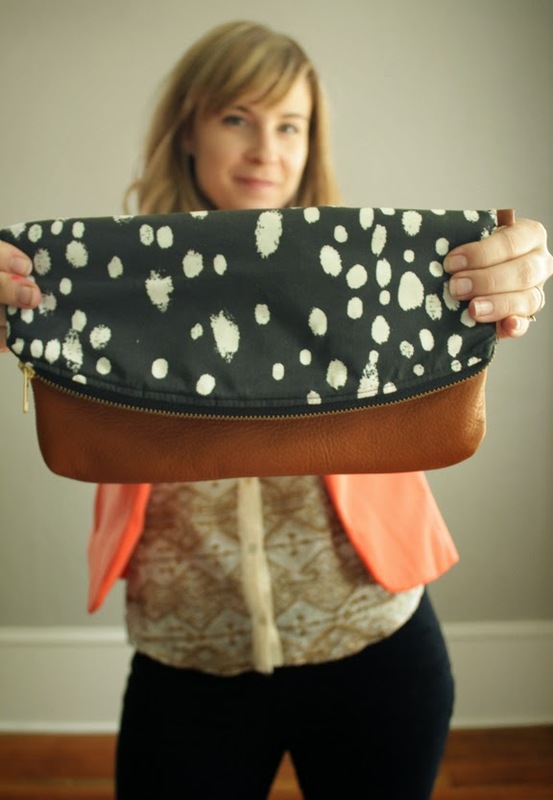 Sarah of Anne B designs was kind enough to send me one of her beautiful foldover clutches to coincide with the launch of her indiegogo campaign and I just can't get enough of it. I grew-up in Virginia Beach, Virginia taking dance lessons, piano lessons, attending various art schools, participated in church and school choirs, and picked up sewing along the way. I'm practically a self-taught seamstress, initially out of frustration with tacky clothes and bags. I found that I enjoyed desiging bags the most because I found have them fit my personal taste and style. 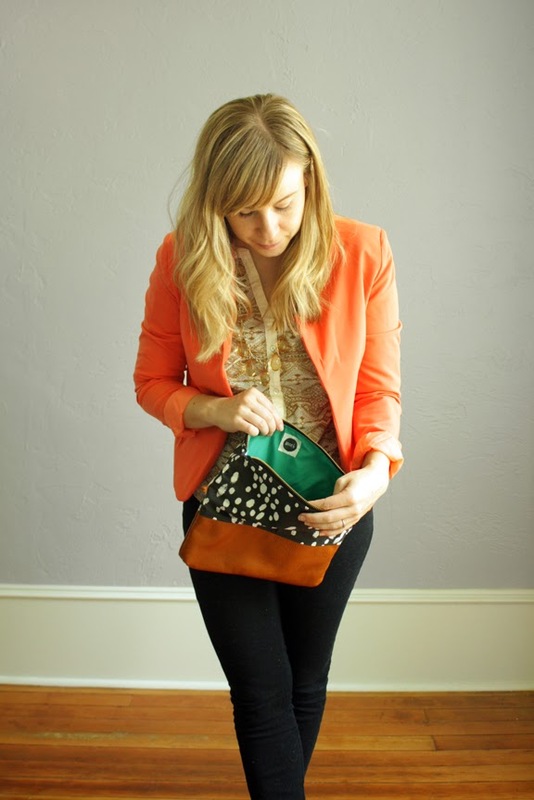 Then I began to consult with friends to design bags that fit their personal needs, taste, and style as well. I loved seeing how excited they got realizing they were essentially the designer—I just made the sketches and final product. 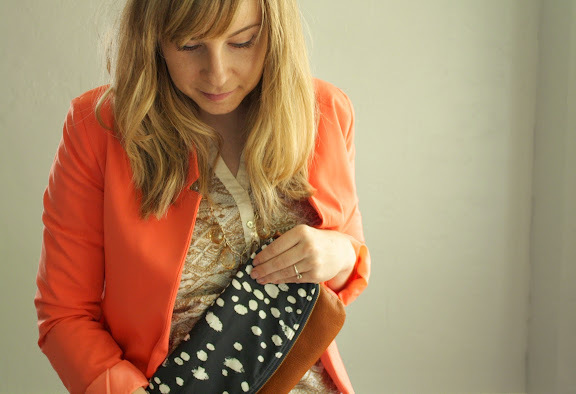 Fast forward to 2014, after many years and many fails, I've developed anne b (middle name + last initial) into an authentic handbag brand that has expereinced international sales and creditable local media recognition. I believe that in our modern world, sewing has become a lost art. 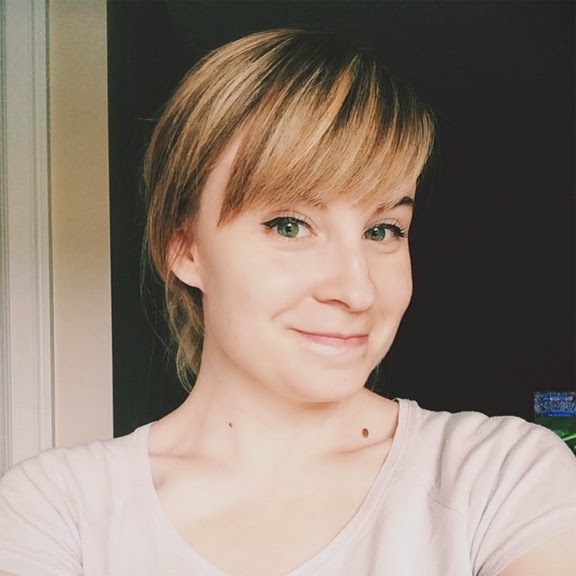 As a self taught seamstress, I want to help change that. That’s why I'm using Indiegogo to help raise funds to start a sewing school here where I live in Salt Lake City called, called Made. This school will be set up like a gym—where anyone can buy a membership, take individual classes, or bring in their own projects. It doesn’t matter if they have advanced sewing skills or if they've never even touched a sewing machine, anyone can come and learn stitching, mending, alterations, clothing construction, accessories, or home decor. Whatever you want to make — we’ll make it happen. I was first inspired to create this school while volunteering in Uganda last summer with HELP International. While there, I taught women and children skills like sewing, paper bead making, and marketing. Seeing how quickly they picked up these skills and their creativity was truly inspiring. When I got back to the States I knew I wanted to bring that same spirit of teaching, creativity, and innovation to the people around me. 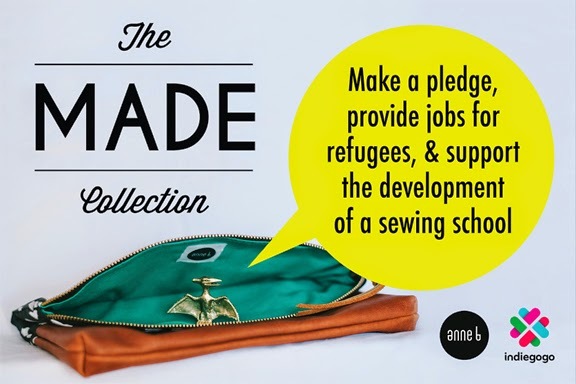 To show my appreciation for the support of Made, backers will receive a bag from a special collection under my label anne b appropriately called - The MADE Collection. These cosmetic bags and folded clutches are made from 100% leather, bold kona cotton prints, bright colored lining, leather trimmed pockets, and durable brass zippers. In staying true to the initial inspiration for this project, I have worked with local LDS and Catholic refugee services to identify skilled seamstresses who will then manufacture the bags and will be employeed through donations to this project. I will provide personal training and mentoring for the refugees to ensure quality craftsmanship. The remaining funds will go directly to the Made school to help pay for sewing machines, rental space, sewings tools and materials, and promoting throughout the valley. I strongly believe that everyone has a spark of innovation and creativity in them no matter who or where they are. By supporting Made, you can help others realize their potential and maybe even help it come alive in you! The campaign goal is $10,000 by July 25. Once we hit $7,500, men's dopp kits will be available for pre-order. Our goal is to fulfill all orders 4-6 weeks after they're placed. If by chance there is a delay, we will keep everyone posted on the progress of their item. 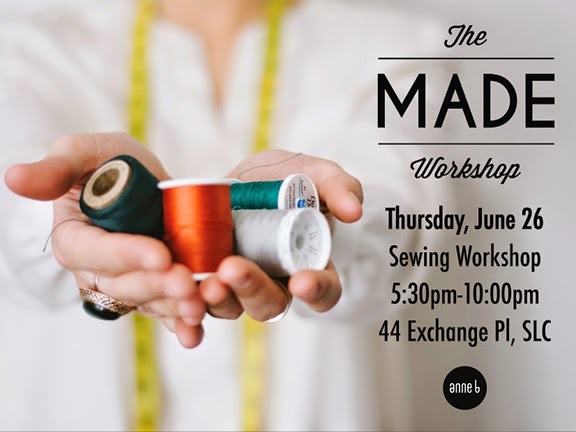 Please check out her campaign and join me tonight at the Made Workshop. Find the details here. I love this week's look. 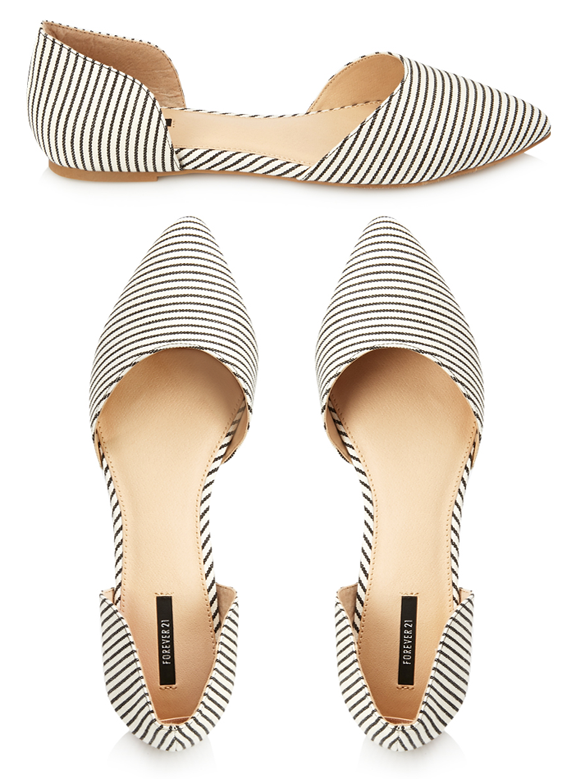 It's sweet without being cutesy, simple but not boring, on trend but not too trendy. My husband described it as "affluent librarian," but I think that only speaks to its sophistication - with a color like mint in the mix, this outfit is anything but stuffy. P.S. I think the image originally came from this shop (as a product photo or a lookbook image, maybe? ), but it can no longer be found there. A funny thing can happen when you get sick. You can all the sudden remember how debilitating just not feeling good can be. Tate and I came down with fevers and terrible sore throats and general malaise over last weekend. At first I was convinced I had strep - I've had it before and the symptoms were a dead ringer. I dragged Tate to the pediatrician in the morning and somehow managed to wait 97 minutes at my doctor's office all while getting sicker and sicker. We both failed the rapid strep test but I was undeterred. Give me my antibiotics! And my doctor obliged. Unfortunately, I just didn't feel better. I laid in bed for days. I wore the same pair of pajamas for more consecutive days than I should admit. Tate and I napped most of the days away. And every morning I woke up thinking is this what dying feels like? I have to be dying. Tate was incredibly sweet. He cuddled with me, held my hand constantly, and woke up more often than I can count to tell me he loved me in his sleep. I think I forgot in the craziness of having a colicky baby exactly how connected Tate and I used to be. As terrible as being sick was, it was a great reminder that Tate and I go way back. On the fifth day of fever, Tate woke up acting like a crazy delirious person and I realized his fever had topped out at 104 and I panicked. After prayers and debate and a cool bath (which was effective but one of the most unpleasant things I have ever had to do as a parent, following close behind holding your kid down for stitches) and another dose of ibuprofen that stupid fever broke and we finally got some sleep. On Friday we went to the doctor again and the doctor started talking about mono. My heart sunk into my feet. Mono brings a legendary lingering exhaustion - I don't have time for that - no one has time for that ish. Tate had some blood drawn (like a fracking champion - he didn't even bat an eye) to explore that possibility. Thank goodness we don't have mono. It was viral infection and possibly one of the worst things I have ever caught (I've felt worse, but since migraines aren't contagious, that's a different animal). I had days where I woke up, got dressed and then I realized I just didn't have anything but laying in bed in me. Today was the first day I got up in the morning, behaved like a civilized human and didn't collapse into a heap before 7:00. Thank goodness we are on summer vacation and Steve was home with us all week last week, because he took over in every way. All this is to say, I am not abandoning this blog for the summer like I did last year. I'm sticking around. And many many many thanks to Mary for being the only steady thing about uber chic for the last little while. That girl is the Meredith to my Christina, wait, I'm not sure who is who in that scenario, but I'm just saying she's my person. 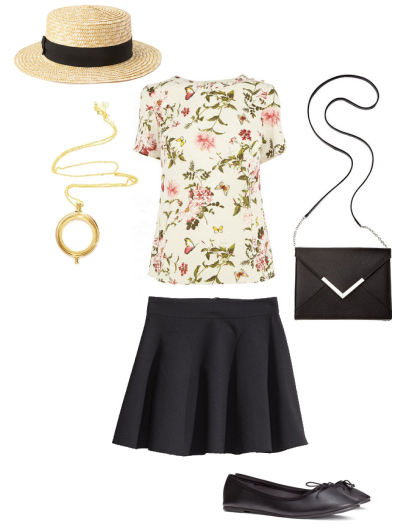 This week's inspiration image is such a sweet and simple summer outfit. I think the cat eye makeup brings a bit of edge to her look, and I love it as a way to show off one of the beautiful floral tees that Madeline featured last week. 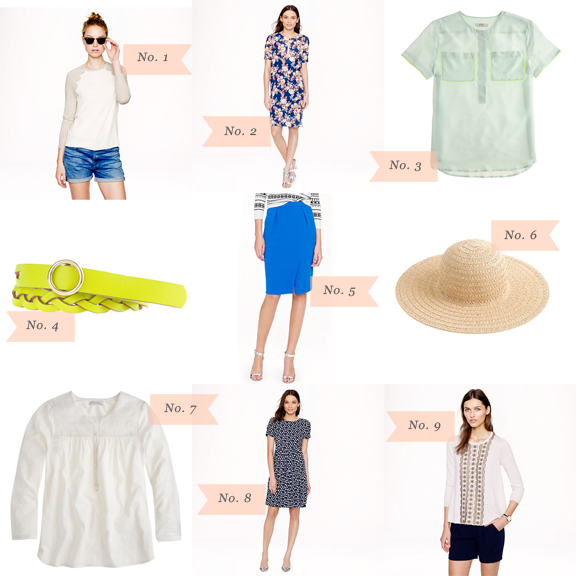 Here's my formula for summer dressing. 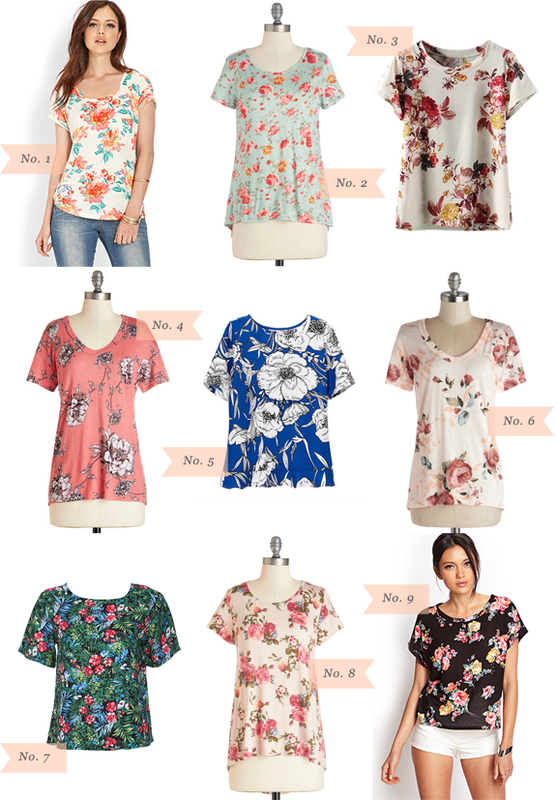 Add one floral tee to a jersey skirt and sandals. Repeat. 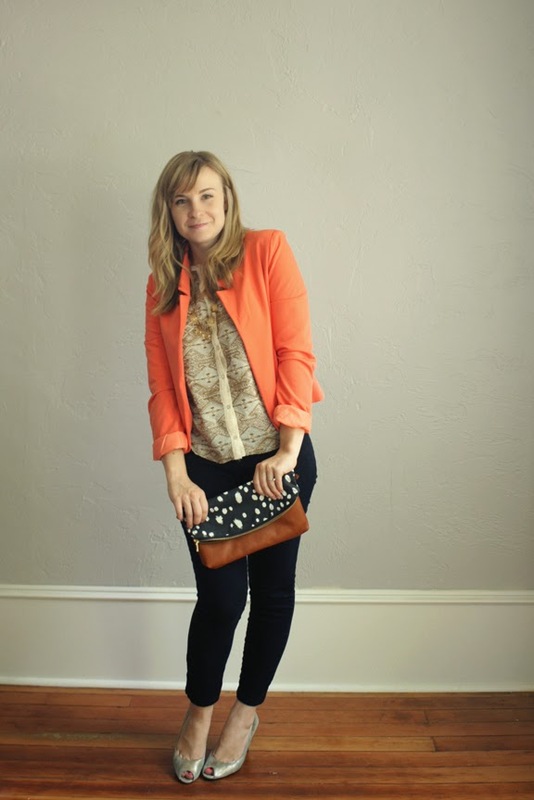 If there's one quality I value in an outfit (after being flattering and being affordable), it is being easy. With four kids and a busy schedule, I can't emphasize too many times how little thought I want to spend on getting dressed. I love to spend time shopping, but once the clothes are actually in my closet, I want ensembles that basically put themselves together. This week's inspiring image is simple in its basic components (white top + pencil skirt + flat sandals), but the details of each item make it interesting. 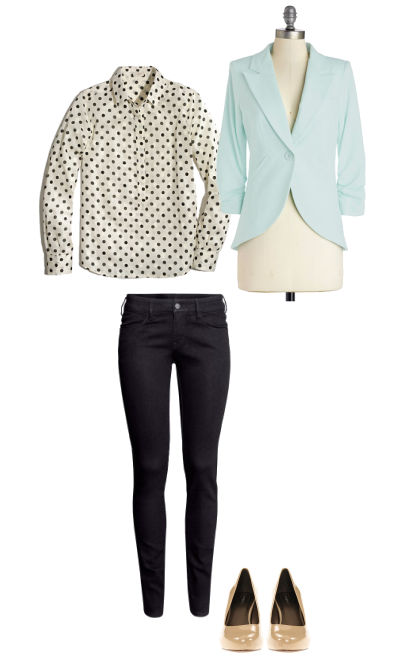 The floral pattern, sleeve detail, and delicate gold accessories bring everything together to look effortlessly cool. Tis the season to buy 12 swimsuits because you can't choose just one. Right? Or is that just me? I saw this beautiful one piece and my immediate reaction was to buy it. So, I'll share it with you instead. H&M always has such great options. I am constantly surprised at the awesome accessories and blouses. And I just love that they have knee length skirts almost all the time. 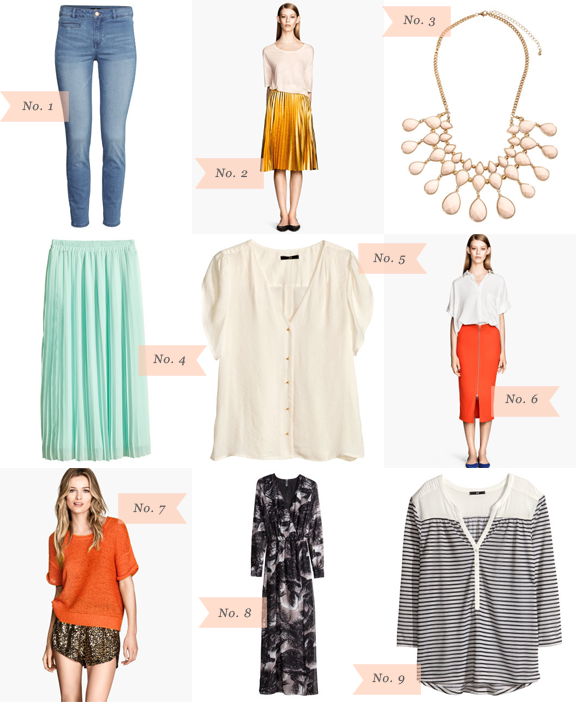 Here are a few of my favorite things in stock right now. This summer crop tops seem to be everywhere. But as someone who has no interest in baring my stomach, I was happy to let the trend pass me by. Until I saw this outfit. It manages to take a trend I associate with someone much younger than I and pulls it into seriously sophisticated territory. Here's my version, for under $130.